Brazil has adopted a civil law system. Its legal framework is composed of numerous ordinary laws, subject to the provisions of the Federal Constitution of 1988 (the Constitution). The protection and enforcement of patents is governed by the Industrial Property Law (Law 9279/96) (IP Law), a Federal Law. the WTO Agreement on Trade-Related Aspects of Intellectual Property Rights 1994. Besides the IP Law, civil patent actions must comply with the standards of the Brazilian Civil Procedure Code (Law 13.105/15), while criminal patent proceedings follow the Criminal Procedure Code (Decree Law No. 3.689/41). 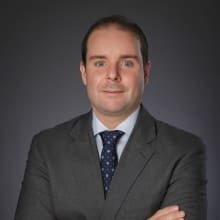 The normative rulings of the Brazilian Industrial Property Office (BPTO), the governmental body in charge of granting patents in Brazil, are also relevant to patent litigation. Brazil recognises arbitration proceedings, which are governed by the Brazilian Arbitration Law (Law 9307/96) and also by the Civil Procedure Code. Brazil is a signatory of the UN Convention on the Execution and Enforcement of Foreign Arbitral Awards 1958, subject to the recognition of foreign awards by the Superior Court of Justice. All proceedings in Brazil (both court and administrative) must be carried out in Portuguese, which is Brazil's official language. In arbitration proceedings, the parties can agree on a different language. Although the law is the main source, Brazilian legal system also recognises jurisprudence, analogy, common customs and the general principles of law as methods of resolving disputes. The Brazilian Civil Procedure Code also allows parties to produce any evidence not forbidden by law. utility models (industrial designs are not considered a patent in Brazil). The patent of invention will remain valid for a 20-year period, counted from the date of publication of the application. This period cannot be renewed. However, owing to the BPTO's backlog, the IP Law states that the validity of a patent of invention will be effective for at least 10 years, irrespective of the date of filing. results in a functionality improvement in its use or manufacture. Utility models remain valid for a 15-year period, counted from the date of publication of the application (this period is not renewable). The IP Law also states that the validity will never be less than seven years. The average time to attain a utility model is six to nine years. Patent infringement actions are filed before state courts. Some states (such as São Paulo and Rio de Janeiro) have lower civil courts and chambers specialised in business law, which also includes industrial property matters (such as patent litigation). Otherwise, the majority of judges are not familiar with these matters. Patent invalidity actions are filed before federal courts, with the necessary participation of the BPTO as a defendant. For invalidity actions filed exclusively before the Federal Court of Rio de Janeiro, the court issued an Ordinance stating that BPTO will figure as a 'special assistant', not a defendant. This Ordinance has not yet been challenged at the Court of Appeals. The BPTO is a simple party at patent invalidity actions, decided exclusively by federal judges, with the support of court technical experts. The parties are also allowed to hire their own technical assistants. Only lawyers duly registered before the Brazilian Bar Association can represent parties before the courts. any party that has a procedural interest to defend the patent (such as a commercial representative, franchisee, etc.) and is formally invested by the patent holder with the powers to defend the patent on its behalf. The following can bring invalidity actions to the BPTO or any party with 'lawful interest', which jurisprudence recognises as any party affected by the exclusivity that has arisen from the patent. The patent owner will be barred from collecting damages for its unwarranted exploitation for five years following the occurrence of the infringement act, by express disposition of the IP Law. With respect to an inhibitory order, the term will be 10 years upon the occurrence of the infringement act. In this case, there is divergence in the jurisprudence and doctrine. In certain cases, judges understand that the statute of limitations begins when the patent owner becomes aware of the infringement act. However, another doctrinal line understands that patent infringement is a constant act, so the statute of limitations period is continually renewed while illicit acts are practised, thus lengthening the end of the deadline for filing a lawsuit. The Brazilian IP Law also establishes that a nullity action may be filed at any time during the validity of the patent. The assessment of patent infringement is made through a technical comparison between the patent claims and the product, process or service put on the market by the infringer. The parties, their technical experts and the court expert present their technical reports. The judge is not obliged to follow the opinion of the court expert and can decide, based on other evidence attached to the records, as long as they explain the reasons for such adoption. According to the most recent jurisprudence, the damages for patent violation are presumed (in re ipsa) once the patent violation is evidenced. The injured party will only need to prove the extent of the damages for the purposes of calculating the indemnity amount. For granting of injunctions to compel the defendant to immediately cease exploitation of the patent, the patent owner must show the infringement beyond a reasonable doubt. Considering the technical aspects involved in patent infringement cases, injunctions are more difficult and granted only when the judge is convinced by the technical reports attached by the plaintiff. In invalidity actions, the plaintiff must prove the lack of fulfilment of the legal requirements or the violation of any section of the IP Law by the patent. A court expert will be listened to, together with technical experts speaking on behalf of the parties. The BPTO will also bring its own technical opinion, based on its analysis during the administrative process. There is no discovery in Brazil. Any claims amendments must be filed before the request for examination. According to the IP Law and BPTO Resolutions, after the request for examination of a patent application, amendments (voluntary or not) to the claim set that broaden the scope of the claimed subject matter will not be accepted and that claim set will be totally refused, even if just one claim was broadened. 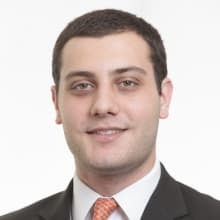 Apart from the fees privately agreed between a party and its lawyer, the official fee for filing a lawsuit in Brazil varies from state to state and is around 1 per cent of the total value of the lawsuit, as indicated on the claimant's complaint. There are minimum and maximum caps on this fee, independent of the percentage. In addition, there is a mandatory loss of suit fee, payable to the winning party's lawyer, fixed by the judge and ranged between 10 per cent and 20 per cent of the total value of the lawsuit. There are additional non-regular expenses, for example, the remuneration of technical experts and the technical assistants hired privately by the parties to follow up on the production of the official expert evidence and to present an independent technical report, agreeing or disagreeing with the official report. To conduct a patent infringement or invalidity lawsuit in Brazil, that runs through all instances, we estimate that around 750,000 reais will be spent. This value comprises the attorney fees, the court costs (as the official fee for filing a lawsuit, among other things) and the official expert's and particular expert's fees. These fees (except for the fees privately agreed between a party and its lawyer) are recoverable from the losing party, at least in part. The judge will fix the sums due by the defeated party in the final decision. Nowadays, as most courts have already adopted electronic proceeding, a lawsuit could last about one to two years to be judged in the first instance, depending on the level of proofs, the need to produce expert evidence, etc. At the court of appeals, the lawsuit could last another one to two years until a final decision. If the lawsuit is sent to the superior courts, the average time for a final judgment is about two to three years. There are two types of preliminary orders in Brazil: evidence-supported relief and urgent relief. An urgent relief is granted to protect a right that must be fully confirmed by a final decision. The urgent relief can be requested in advance of or during the lawsuit. The urgency must be contemporary with the filing of the lawsuit. The plaintiff will only request the granting of the urgent relief, without indicating the basis for the main proceedings in the first instance. After that, if the urgent relief is granted in advance, the plaintiff will have 15 days from the granting to start main proceedings to confirm the measure. In addition, the defendant will have the same deadline to appeal against the decision. If the defendant files no appeal, the decision will become final and unappealable, and the urgent relief will stabilise and become definitive, without the need for the plaintiff to file for main proceedings. the injunction requested cannot be irreversible. Preliminary injunctions can be granted without hearing the other party (ex parte) when there is a real risk that this party can frustrate the hearing, or in cases where urgency is so great that it is not possible to wait for a hearing of the other party. The judge has discretion to require the posting of a bond or another fiduciary guarantee as a condition for the injunction. In patent invalidation actions, it is also possible to request a preliminary injunction order to stay the effects of the patent until the issuance of a final decision. However, injunctions are rarely granted in these actions, as the existence of the right relies on the patent owner, who followed all administrative procedures for granting of the patent by the BPTO. Therefore, the patent is prima facie valid. the initial petition is instructed with sufficient documentary evidence to prove the plaintiff's right, and the defendant does not present other evidence capable of generating reasonable doubt in the judge's conviction (this is also very hard to admit in patent infringement actions owing to the need to produce independent technical evidence). Patent holders could face liability for threatening infringement proceedings if they falsely accuse the other party, bringing a lawsuit for an infringement that has not occurred, or even if they misrepresent the other party's customers. In this case, an indemnification action could be filed. define clearly and precisely the subject matter that is the object of the protection. According to the IP Law, the patent owner has the right to prevent third parties from, without its consent, producing, using, offering for sale, selling or importing a product that reproduces the object of the patent and a process or a product directly obtained from a patented process. The patent holder also has the right to prevent third parties from contributing to infringing acts committed by others. The assessment of patent infringement is usually made through a technical comparison between the patent claims and the product, process or service put on the market by the alleged infringer. In those cases, the defendant should prove that they did not reproduce the object of the patent, taking into account all the independent claims and specifications of the patent. That argument should be confirmed by means of technical evidence stating that the defendant's products or services do not reproduce the object of the plaintiff's patent. Criminal proceedings must be preceded by a preliminary search and seizure measure, conducted by two court experts who will prepare an expert report on the infringement. In such cases, the judge appoints a person to act as legal depositary of the products. If the report confirms the infringement, the judge will ratify the technical report and the patent owner can file a private criminal action (the public prosecutor cannot file criminal actions for patent infringement). Under the Industrial Property Law (Law 9279/96), the penalties for criminal patent infringement include terms of imprisonment from one month up to one year, or fines, often replaced by alternative penalties, such as payment of low amounts or rendering of community services. Invalidity can be argued at any time as a defence strategy, and is a standard argument in patent infringement actions. However, the Superior Court of Justice held that the invalidity of a patent can only be argued through a specific invalidity action, to be filed before a federal court, with the necessary participation of the BPTO. exhaustion: the patent owner cannot block third parties when the product manufactured according to the patented technology is placed directly on the domestic market by the patent owner, or with his or her consent ('national exhaustion'). Also, imports by third parties of a product manufactured under a process or product patent shall likewise be allowed, considering that it has been placed on the foreign market directly by the patent owner or with his or her consent ('international exhaustion'). The patent holder can seek some specific measures or orders to cease its violation. If the patent infringement is duly proved through the evidence produced during the lawsuit, the judge can grant a permanent injunction prohibiting the defendant from continuing to practise infringement acts; and condemn him or her to pay an indemnification. The final injunction must refer specifically to the acts of infringement, but can also affect suppliers and distributors of the infringing product. The effects of an injunction are limited to the defendant in the lawsuit, and cannot be opposed to third parties. Brazilian courts only have jurisdiction in Brazil; hence, an injunction only has effect on the national territory, but can be extended to other jurisdictions through letters rogatory. the amount owed by the patent infringer to the patent holder under a hypothetical licence agreement signed between the parties. The plaintiff can choose the most favourable criterion among the three above. Based on the chosen criterion, the judge will start a new phase of the lawsuit specifically to calculate the amount of the indemnification, and an accounting expert is often used to perform such analysis and calculations. 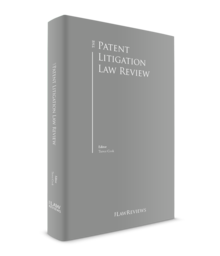 The plaintiff can also request indemnification for moral damages suffered by means of the patent infringement, when the plaintiff can prove that the company's business or reputation has been adversely affected by the infringement acts. However, moral damages are rarely granted in patent infringement cases. There are no punitive damages in Brazil. The indemnification values on infringement actions vary according to the nature of the patent, the time of violation, the economic capacity of the parties and their performance in the market. Thus, it is very difficult to provide statistics about the damages in patent infringement actions. According to the Brazilian Civil Code, the indemnity amount is calculated according to the extent of the damages, so the indemnity amount may vary depending on the specific case. On infringement actions, the judge can also order the destruction of all illegal materials, matrices, moulds, negatives and other elements used to perpetrate the infringement acts. The judge can also order search and seizure measures to confiscate any machinery, equipment and device used for the infringement purposes. The judge can decide that the infringing party must withdraw from marketing all products, moulds and machines that unduly reproduce the patent. A recall order can be issued as a preliminary injunction or as a final decision, and the judge can impose a daily fine or other supporting measures in the event of non-compliance with the order. The decisions will become enforceable only after the due service of the defending party and the attachment of the summoning letter to the case records. national emergency or public interest events declared by the Brazilian government. A compulsory licence based on items (a) to (d) can only be requested by one with a legitimate interest in its exploitation, and that shows technical and economic capacity to efficiently exploit the patent within the Brazilian market. The interested party must submit a request to the BPTO, by proposing the licence terms and conditions. The BPTO will notify the patent owner, who must reply within 60 days. Once all the information required for the analysis of the pleading is gathered by the BPTO, it will decide as to whether the compulsory licence should be established and, if the parties does not reach an agreement on the remuneration (royalties) owed to the patent owner, the BPTO will determine such amount based on the circumstances of the case and the economic value of the licence. [T]he customs authorities, ex officio or at the request of an interested party, may seize, at the time of clearance, any products carrying falsified, altered or imitated marks or otherwise bearing a false indication of source. Despite the express mention of trademarks, this Article is also applied to patents. Therefore, there is a legal basis to require a preliminary injunction seeking the blocking of products at the border. The judge can send an official letter to the customs authorities to block the entry of counterfeit products in Brazil. In patent infringement cases, however, this analysis by Customs is difficult because it is very technical. The common procedure in Brazil is to send a sample of the product seized by Customs to the trademark or patent owner, to ascertain whether or not there is a violation of its rights. The unsuccessful party has several routes of appeal according to the Brazilian Civil Procedure Code. Each kind of appeal has a particular object, which could be the reform, the invalidation, the clarification or the integration of a judicial decision. The most common appeals are as follows. These are filed against decisions that do not close the proceeding, but only decide on incidental issues (named interlocutory decisions), such as decisions that grant or deny preliminary injunction requests. The interlocutory appeal will be sent to the respective court of justice and the case records will be sent to a reporting judge. The appellant can ask for the granting of a staying effect. For this, the appellant must prove that the interlocutory decision could cause him or her serious damage, and demonstrate the urgency of the case. The merit of this sort of appeal is judged around six months from the filing date, but this deadline could be extended or reduced depending on the complexity of the case, the court in charge of analysing the appeal, etc. The official fee for filing an interlocutory appeal varies from state to state. In some locations, the filing is free of costs, but in other places, there are official fees that may vary from 1 per cent up to 5 per cent of the total value of the lawsuit. These are filed against any decision rendered during the lawsuit, in any instance. This sort of appeal must have as its object the clarification of any addition, omission, lack of clarity or contradiction in the appealed decision. The same judge or court that rendered the challenged decision will judge the motion. The motion for clarification is judged more quickly, in about one to three months from the filing date, depending on the judge or court in charge of analysing it. There are no official fees to file a motion for clarification. These are filed seeking to overturn the final first-instance decision. The appeal will be sent to the respective court of appeals, where it will be decided by three judges, and all the issues discussed at first instance could be re-analysed. In general, appeals have a staying effect. There are some exceptions, such as appeals against decisions that involve injunction reliefs, when the staying effect is not granted automatically. Nevertheless, the appellant can ask for the granting in a separate motion that will be examined by the reporting justice in charge of the appeal's judgment. The main object of an appeal is to reform or invalidate the first-instance decision. It is possible to raise all the arguments on the merits already raised at first instance. The final decision is adopted by a majority vote. It is difficult to predict the exact time frame, but an appeal is usually judged in about one to two years from being received by the court of appeals. However, this deadline can be extended or reduced depending on the specific court and the complexity of the case. the counterparty must have the opportunity to access the new evidence and to present its manifestation about it. Usually, at patent infringement or invalidity lawsuits, it is quite common to present a legal opinion drafted by a specialist in patents to strengthen the appellant arguments. different interpretations of the same issue by second instance courts. Also, the special appeal cannot seek to discuss again the facts and evidence already presented and discussed at the lower instances (for this reason, it is difficult to admit the delivery of a special appeal to the STJ). If the special appeal is admitted, it will take two more years for the STJ to issue a decision. A final decision could last about two to three years to be issued. According to a recent Ordinance issued by the Federal Court of Rio de Janeiro (Ordinance JFRJ-POR-2018/001100 of 24 April 2018), on patent invalidity actions before that Court, the BPTO will no longer figure as a defendant, but as a 'special assistant'. Also, the BPTO cannot be condemned to pay loss of suit expenses. Currently, disputes involving pharmaceutical patents are the most relevant. Historically, there was a discussion between the BPTO and the Health Surveillance Agency (ANVISA) on jurisdiction to examine patentability requirements, which led to many lawsuits. An agreement was recently concluded, where it was defined that ANVISA will only analyse aspects related to public health and the BPTO will examine the technical aspects for patent granting. The expectation is that it will reduce the number of lawsuits. Owing to the BPTO's backlog, litigation involving patents covering electronic devices such as cell phones is not common in Brazil. Ericsson recently filed an action in Brazil against Chinese TCT for violation of 3G technology. Vringo, a patent holder related to 3G and 4G technologies, also filed a patent infringement action against ZTE, a mobile phone manufacturer. These were the first cases in Brazil involving standard-essential patents, and the granting of licences under the concept of 'fair, reasonable and non-discriminatory' terms. Both of them were settled, and the jurisprudence is not yet formed in this matter. The BPTO has entered into several multinational agreements to expedite the process of patent analysis in Brazil, called the Patent Prosecution Highway. In 2018, the most relevant agreements were signed with the State Intellectual Property Office of China, the United States Patent and Trademark Office, the Danish Patent and Trademark Office and the Intellectual Property Office of the United Kingdom. This last one is limited to a total amount of 100 patent applications per year, for an initial period of two years, starting on the third trimester of 2018. Each Patent Office will be exclusively responsible to examine the applications according to the applicable law, regulations and technical criteria. The BPTO has published, for public consultation, a proposal to implement an expedited patent analysis process to eliminate a huge backlog of 231,000 patent requests (resulting in an average lead time for patent approval of more than 10 years). The proposed new regulation states that any patent application filed until the date of the resolution's publication will be automatically granted within a 90-day period, without a deep technical analysis about the legal requirements. Pharmaceutical patents and applications with oppositions filed by third parties will not be included in this expedited process. Also, any patent owner can present a motion requesting not to participate in the expedited process. Besides appearing to be a good initiative, the expedited process might bring several issues to the Brazilian patent system, such as significantly increasing the number of patent infringement and invalidity actions. This is because the BPTO, the main body responsible for the patent technical analysis, will no longer examine the technical requirements of those patents included at the expedited process, which could lead to the expedition of weak patents or even conflicting patents. This issue will need to be solved by the judiciary. It is also possible that the new resolution will be challenged in court with regard to its legality. Despite the public consultation, there is no news about when the new regulation will enter in force, nor the final terms of the regulation. 1 Márcio Junqueira Leite is counsel and Victor Rawet Dotti is an associate at Pinheiro Neto Advogados. III living beings, in whole or in part, except for transgenic microorganisms that meet the three patentability requirements – i.e., novelty, inventive activity and industrial use – pursuant to Article 8 hereof, and provided that they do not merely arise from discoveries. For the purposes of this law, transgenic microorganisms are shall be taken as the organisms – other than plants or animals, in whole or in part – that display, due to direct human intervention in their genetic composition, a characteristic that is not usually attainable by the species under natural conditions. 4 See the BPTO proposal to overcome its backlog in patents. 5 According to the 'doctrine of equivalents', an infringement may occur if some characteristic or element of a product or service used by an unauthorised third party can be considered technically equivalent to the characteristic or elements of the claims of the patent. Courts also recognise the doctrine of equivalents in civil actions, as the IP Law allows the party to pursue applicable civil actions.